Like most of us, your home probably represents the single largest investment you will ever make. So, turning it into something you are proud of should be a priority for all of us. But turning your home into a perfectly-designed masterpiece can be a tough and expensive challenge. However, making the most of your home’s design doesn’t have to cost you an absolute fortune, and making small changes can really have a positive impact. If you are looking for ways to make the most of your home’s design then consider this simple guide. If the home you live in is lacking a little bit of space, then the easiest way to make the most of that design is with innovative storage solutions. For example, if you are lacking cupboard space to store a big bulky ironing board, consider buying a half-sized board and storing it under your bed. Speaking of beds, look to maximize the design of your home by choosing a bed which includes drawers underneath for additional storage. Additionally, blanket boxes are excellent storage solutions and also double as a TV cabinet. If you lack storage options, look for simple ways to make the most of the space available. Outdoor spaces around your home are probably one of the key selling points that attracted you to it in the first place. However, if you live in a particularly cold climate, you may not get to use them all year round. That, however, doesn’t have to be the case. Consider purchasing an outdoor gas heater to make the most of that space, even in the colder months. 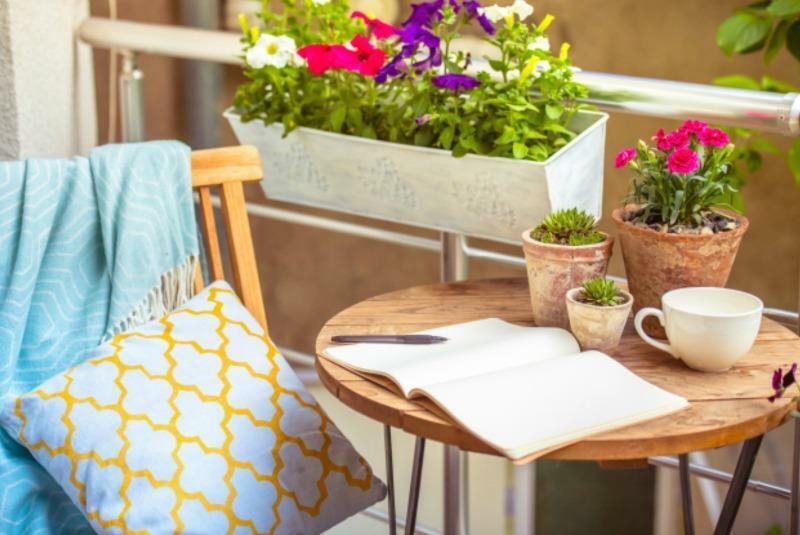 A simple addition to your outdoor furniture can instantly make more of the available space you have. Find a design that works with your home’s style and you will create a unique space that you can entertain family and friends in all year round. One of the last things we consider when viewing a potential home is the lighting situation or the climate of the home. If you are like me, then there has been more than one occasion where you’ve moved in and realized the home is very cold because the floors let cold air right through. Instead of panicking, make the design work for you. Consider purchasing heating options for indoors as well. Alternatively, if the lighting is an issue, look for floor lamps which add an element of style as well as a functional source of light. Most furniture pieces come in a range of styles, meaning you are sure to find the right one which will make the most of your home. If you look out your window and see a stark green backyard with little color or life, it’s time to make some changes. The backyard, or even front yard for that manner, should be a place of pride. If your home is lacking some diversity then consider purchasing some new trees, plants or flowers to add a touch of style. Research the climate and the soil you have before committing to any particular plants, of course. Most nurseries will have an option that will not only add a splash of color, but it will also make the most of what is otherwise a fairly baron space. And don’t leave it all outside, be sure to bring the plants inside. Making the most of your home’s design doesn’t have to break the bank. Simple changes can have a dramatic impact on the look and feel of your home. Subtle changes such as the addition of heating or light options can transform a space completely. Instead of accepting any perceived shortcomings in your home’s design, use this guide to help make some meaningful changes.